Place the ingredients in a food processor and blitz to a rough dough. Tip out onto a flour-dusted surface and knead for 3 to 5 minutes, or until smooth. Cut the dough into four pieces, then carefully press a portion out flat with your fingertips and start to roll it out using a pasta machine. Start at the widest setting and roll the dough through it, lightly dusting with the rice flour if it sticks. Roll the pasta through the widest setting a second time, then click the machine down a setting and roll the dough through again. 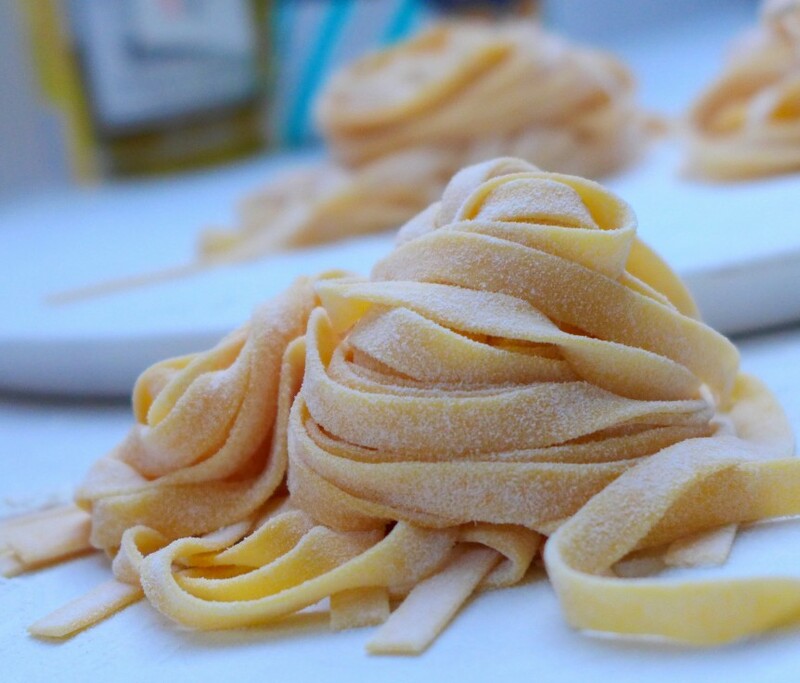 Now, start clicking the settings down, rolling the pasta through each setting twice – gluten-free pasta isn’t as elastic as standard pasta, so make sure you avoid using the two narrowest settings, otherwise it may rip. Once you have a thin sheet of pasta (about 2mm thick), set aside on a flour-dusted surface and cover with a damp tea towel to avoid it drying out, then continue with the remaining dough. Now’s the time to transform your dough into whichever variety of pasta you like. If you want to make tagliatelle, roll the pasta through the tagliatelle setting on your pasta machine, or use a sharp knife to slice the pasta sheets lengthways into long strips (roughly 7mm thick), placing on a flour-dusted tray as you go. To cook, place in a pan of boiling salted water for around 3 minutes, or until al dente, then serve how you like it.